Welcome to the month of Adar and one of the busiest and most exciting periods of the Jewish year. Not only will be celebrating Purim soon (this year on March 12th), with all the food, noisy celebration and partying that goes with that holiday, but as soon as it is over we will have Passover (Pesach) – just four more weeks after that. And that brings lots of action – cleaning, learning, and preparing for the Seder and more. One of the shared characteristics of both Purim and Pesach is the importance of the story. On Purim we read Megillat Esther, reminding ourselves of the events that almost led to the destruction of the Jews and the roles played by Esther and others to save us. On Pesach, of course, we retell the story of the Exodus from Egypt and around the Seder table we try to make ourselves feel that we were there, experiencing the plagues and the escape from slavery. In both holidays the story is central to the holiday itself. Last month we started to focus on this theme of storytelling, by offering you a fantastic podcast by David Levin-Kruss on the topic of “How do you tell a story?” If you haven’t yet listened, download it now and you can hear David explain an ancient Jewish debate about where to start and end the telling of the Purim story. We continue this month with more about the power and value of storytelling, for Jewish life and Jewish education. In her JDov talk, “Don’t Tell Me. 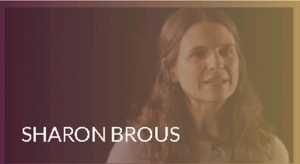 Show Me”, Rabbi Sharon Brous talks about her own Jewish story (in six short chapters that include “Humiliation”, “Alienation” and “Integration”). She also reminds us it is not just individual stories that are important, but also the stories of the Jewish collective. “Religious communities also need at their heart, a narrative, a raison d’etre, something beyond historical obligations and communal commitments and demographic fear and parental guilt.We need a story, a story that ultimately helps us articulate what it means to be alive in the world, what it means to be a human being, how to make sense of the devastation and the loneliness and the brokenness and the loss that is all around us in this room and so far beyond. The Exodus from Egypt, of course, is one of our core stories; a story that teaches us who we are and expresses our values. As Rabbi Brous says, the Exodus story is timeless and has something to teach everyone, particularly about what it means to be powerful and powerless. The Exodus is a story not to entertain us, but to transform us and every year we sit at the Seder table and re-enact the events from Egypt – we spill wine to remember the plagues, we lean in our chairs to remember being slaves, we eat foods that remind us of the back-breaking work we did – everything to re-create the emotions and experiences of slavery. Our work as educators and Jewish professionals is all about helping individual Jews connect their personal memories to the collective memories of the Jewish People. Pesach is a fantastic time to do this. So, as you prepare for Pesach this year – whether in your own home with family and friends, or with your students and community members, think about how you will all tell your own stories and the collective Jewish story of the Exodus. own words, choosing the parts they think are most interesting and exciting. Listen to these ideas from The Atlantic about what makes a good story and then compare them to the Exodus story. How many of these qualities are present in the Exodus? 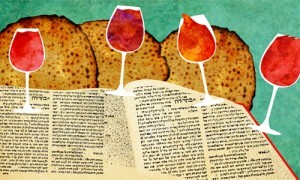 Open a Haggadah and examine all the ways that the story is told in it. What methodologies do we use? What makes it a good re-telling? What could you add to the Haggadah this year in order to make your telling more engaging? Pesach resources from the National Library of Israel, including an activity focused around the “Four Children”. My Jewish Learning for some additional Purim resources.